My Philosophy is the impossible I do right away -Miracles take a little longer learning to deal with the adversity and opportunity of a new country, which my family had adopted and became citizens. My parents always told us, “you can be anything you want to be.” As a young man, I took those words to heart by chasing every dream I had and realized I loved the experience of “owning” my own businesses. silver coins, like the American Stock Exchange (AMEX). The venture proved to be too early and the industry was difficult to consolidate and integrate, so we put the company on the shelf to see if the future had a place for it. I fell in love with Dallas because of its dynamic business community, the people and even the 100+ degree summers. I decided to launch an advisory firm for the industry sector and formed a company called 20/20 Corporation. This company gave me the opportunity to learn and explore the inner workings of many companies from the oil & gas Industry, to manufacturing and real estate. In the mid 90’s, I met John Potter, the man who would become my mentor, business partner and dear friend. Regretfully he passed away in 2018. John was twenty years my senior and a true “man of a man.” He helped calm me and showed me alternate ways to do business. He used to say, “try cooking with a slow flame and not a flame thrower.” At the time, I was still in my thirties and had that 0-100 MPH mentality. I eventually learned to slow down, be more vigilant and diligent in life and in business. 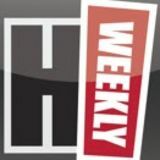 HW: You mentioned this experience led to a major venture and your first public company. What was this like for you? John and I formed a company called Airtech and entered the world of indoor air purification and sterilization. you must have the capital to stay in the game to see it through. HW: Entrepreneurs are known for being innovative. How did you transition from the fight business into launching the first public electric car company? After I retired from SUN, I formed an Investment Banking Firm called Regus Advisors, Inc. (RAI) and served as the Founder, Chairman and CEO with a mission to explore minority investments in upcoming companies. Our first venture was an electric car company called Green Automotive. We brought the first Chinese manufactured mini electric SUV to America. It was a revolutionary SUV with a top speed of 90 MPH and range of 175 Miles. We funded the company, brought the SUV’s to the U.S. and were as giddy as kids because we were first to market with this “super hot and super affordable,” electric SUV under $30,000. We took the company public and were the first EV public company (before Tesla). is in motion. I am also honored to sit on the of the American Diabetes Association North Texas Leadership Board and support the awareness of diabetes, a disease which impacts millions of people in the United States. Only time will tell where my life will go and what the future holds. Stay tuned! It’s most certain to never be a dull moment. 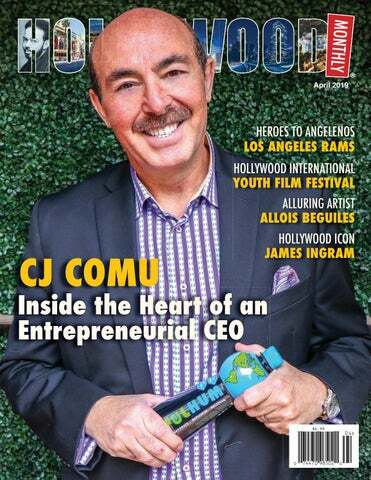 Hollywood Weekly brings you exciting news of the Stars - but occasionally we find a person with a story that builds business and creates Stars and with that, we salute CJ Comu for a job well done. Japan, South Korea, Vietnam, Thailand, Indonesia and Malaysia. The TV section was divided into two subsections: TV Film, TV Series. As the organization committee reported, they used the standard Hollywood nomination system, such as: Best Actor, Best Actress, Best Supporting Actor, Best Supporting Actress, as well as Best Director, Producer, Editor, Film, etc. Judges had to work on more than 1000 projects. The Festival had 2 major sections: Film and TV. The “Film” section was also divided into subsections: short films, feature films and documentaries. who got the Best Editor Award; Jade Polvani, who got the Best Upcoming Star Award. MuYang Lin, a young and very talented journalist, received the Most Unique Story Award. Troy Montgomery won the Best Light Work Award; Gennadii Omelianiuk got the Best Supporting Actor from Europe Award. The biggest and most difficult competition was in the TV Section. The Best Director Award went to Hollywood director, Mr. Hugo Will. The Best TV Show Award was given to “Vivi in the Valley.” The Best Actor Award was given to Hollywood actor, Mr. Tyler Dash; the Best Supporting Actress Award went to Julia Luciv; Mr. Troy Montgomery won the Best Producer Award. Ms. Vivi Lin took home the Best TV Journalist Award. The full list of winners are available upon request at the Hollywood Film Academy. FLASHBACKS TO 2008 — In a series of ﬂashbacks to 2008, secrets are uncovered about Rosa’s ﬁnal day, Isobel’s (Lily Cowles) mysterious blackouts and Alex (Tyler Blackburn) and Michael’s (Michael Vlamis) relationship in high school. Jeanine Mason, Nathan Parsons, Michael Trevino and Trevor St. John also star. Tim Andrew directed the episode written by Eva McKenna & Carina Adly MacKenzie (#106). “It Smells Like Success” - Lauren O’Connell, David Wright, Chris Underwood and the Mana Tribe on the premiere of SURVIVOR: Edge of Extinction, on the CBS Television Network. Timothy Kuratek/ CBS Entertainment ©2018 CBS Broadcasting, Inc. All Rights Reserved. much as I could. My father, despite the fact he was an extraordinary architect, stayed very active and published a number of historical and political articlesin different kinds of newspaper and journals. HW: Which events or people motivated you to choose Media and PR as your profession? In 2004, I participated in the first Shenzhen Youth Journalist Competition and Job Fair. The purpose of this event was to choose six assistant student editors for “Shenzhen Youth Newspaper,” which was one of the top circulated weekly newspapers in Shenzhen. Among all the editor nominees, I was the youngest. In order to win, I kept emphasizing my advantages, even my younger age could help me. I became the finalist and was appointed as a student editor. I felt honored that my media skills were being appreciated. HW: Which were your first steps in Media? The reason why I stepped in the media world was simple. I needed money so I could secretly purchase video games behind my parents’ back. Therefore, I started to submit my writing to different kinds of newspaper and journals. One of my articles was published on Shenzhen Youth Scientist. I’ve learned three lessons in my early media career: I write well; I can get paid by writing; I can influence oth- HW: After your success in China you decided to move to the US, ers through media. I write well; I can get paid by writing; I can influence others through media. get an education and pursue your career here. Which challenges did you face in China? The years when I was the editor of “Shenzhen Youth” was fun and substantial. I was responsible for a number of stories that kept a watchful eye on the livelihood of the people in the city. My passion for being a media practitioner did not fade away after my three years tenure. I still kept close attention to any media-related territory. In 2011, I worked as the assistant editor in Shenzhen Press Group. However, I gradually realized the media atmosphere in China might not be the fertile ground for media enthusiast like me. It was time for me to move to the the U.S., the birthplace of free press. HW: In the methodological book you created you share unique ways of development in Media and PR, could you please share with our readers details of your unique system? In my methodological book I describe many creative ways to improve media practices. As I said earlier, fake news is second-tonone the greatest threat to the entire media and PR world. It not only jeopardizes the credibility of mass media, but also provides false information to mislead readers. Therefore, I would specifically mention my suggestion to fight against fake news right here. In my book I share ways of stopping fake news and many other details and industry combinations not really used nowadays. where multicultural intercommunication seems to be the key to booming. HW: Thank you Muyang for your inspiring story and wish you best of luck. Thank you! GEORGIA SWINGS Order your porch/patio swing or swing bed now, ahead of the rush. Georgia Swings is a family-owned business that began in 2014 as a hobby and grew into Georgiaâ&#x20AC;&#x2122;s most prestigious and highly regarded wooden porch/patio swing, arbor, bed swing and adirondack chair builder in Georgia. Our products are well crafted for style, comfort and durability. Georgia Swings constantly seeks ways to improve our products and our knowledgeable staff will always be there to provide ideas and recommendations to guide you to reach your targeted goal. Located in Marietta Georgia, Georgia Swings make some of the best quality wooden outdoor patio furniture in the South. The standard order is completed in approximately 5 to 10 business days. We occasionally keep several swings available in stock on a first come first serve basis. Outdoor wooden furniture products are available for local pickup, however, out of town buyers may have fully assembled porch swings and adirondack chairs shipped directly to them using a third-party shipping company at an additional expense. Donâ&#x20AC;&#x2122;t hassle with loose parts or confusing assembly instructions. Our swings and chairs are fully assembled and constructed by professional craftsmen. Nels Coxman (Liam Neeson) is Kehoe, Colorado’s most reliable snowplow driver. He was recently named the popular ski resort area’s “Citizen of the Year” for keeping its treacherous mountain roads clear during the blizzards which routinely threaten to disrupt the town’s tourist season. a drug cartel. As it turns out, Kyle was ostensibly murdered in a case of mistaken identity on orders from a kingpin known as Viking (Tom Bateman). PACIFISM: NOW IS THE TIME Dr. James Kellenberger War has been with us as long as there has been recorded history. The Bible tells of wars fought by the people of Israel against the Canaanites, and more that two thousand years ago there were wars between Greek city-states. Every century has had its war or wars. Often in recent centuries wars have been between nations or between nations and quasi-nations (like ISIS). There have been civil wars, regional wars, and world wars. Wars have been fought for expansion, for national security, in retaliation, and to maintain a nation’s economic position. Some wars are wars of aggression undertaken by one side to gain territory. Some wars are wars of self-defense engaged in by one side in opposition to aggression. This suggests that sometimes engaging in war may be “justified” for at least one side in a conflict. However, every country that goes to war sees its cause as justified, whether it goes to war in defense or to expand or for other reasons. an army have to be trained and conditioned to kill the enemy, and there have been those who renounce war and violence, as Mahatma Gandhi and Martin Luther King, Jr. did. Many others not so well known have done so as well. Wars occur with horrendous regularity, but they are not inevitable. They are not like disease. They occur because human beings in positions of power decide to engage in a war action. This means that if humankind or the decision -makers of the world had the will they could turn from war. Those who consistently turn from war are pacifists. They renounce war and hold that war should be renounced by everyone. Many who are not pacifists concede that war is an evil and then proceed to proclaim that their war is a “necessary evil,” necessary, that is, to attain their end. There are reasons to turn from and to renounce all war, however. There are two significant reasons to repudiate war: a religious reason and a moral reason. and other sources that are pacifist. This is so even though there have been wars between religions, wars fought in the name of religions, and wars allowed by or approved of by religions. Both Mahatma Gandhi and Martin Luther King Jr. were religious persons, Gandhi a Hindu and King a Christian. More than a few terrorists and suicide bombers have identified themselves as Muslims, but many Muslims reject violent jihad. In the Qur’an a verse tells believers to respond in peace when the enemy inclines toward peace, and in the hadith (a collection of the sayings of the prophet Muhammad) many of Muhammad’s sayings call for kindness and love. Though there is not a strong Islamic pacifist tradition there have been Muslims who have followed the way of nonviolence. Rabia Terri Harris, the founder of the Muslim Peace Fellowship, is a contemporary example. In the Jewish tradition, though again there is no well-established pacifist tradition, peace is recognized as a value. In the Hebrew Bible (which corresponds to the Christian Old Testament) in the book of Isaiah that prophet says that the Lord will ordain peace and prophesies a time when swords will be beaten into plowshares and nations will cease to war against nations. An organization within the Jewish tradition that today works for social justice and peace is Jewish Voices for Peace. neighbors, we will not engage them in war. Love of others, or compassion for them, does not allow machine gunning, bombing them, or in other ways inflicting death or harm on them. The root teachings of Buddhism and Christianity when taken seriously rule out war and provide a sufficient reason for following pacifism. The Moral Reason. Like the religious reason the moral reason against war has several expressions. In its simplest expression it cites the well-recognized moral principle that it is wrong to kill another human being. When states terminate the lives of those convicted of a serious crime they term their taking of human life an “execution,” not murder. When nations go to war they authorize the members of their military to kill those who are the enemy and characterize such killing as justified and not murder. But the legitimacy of such authorization is doubtful, The nations on opposite sides in a war action authorize the killing of those on the other side, but not those on their own side, which makes doubtful the legitimacy of either authorization. The very idea of such an authorization is doubtful, as though a political pronouncement could negate the moral principle that killing another human being is wrong. And if that moral principle stands it is a moral reason against war or one expression of the moral reason against war. beings have the right to be treated as persons, to be respected as persons, There may be some question about all that is required in order to meet this basic right of persons, but it is clear that at a minimum treating persons with hate or dehumanizing them violates their right to be respected as persons. In wartime, though, this is just what happens. When a nation goes to war it encourages hate of those on the other side, the enemy, or even worse their dehumanization. A part of the training of soldiers teaches them to see the enemy as dehumanized. They become “gooks” or “devils.” As those who conduct military training appreciate, if enemy soldiers are seen as dehumanized it becomes psychologically easier to kill them. They are no longer seen as persons and can now be seen as targets. The fostering of hate or dehumanization is a part of the violence of war that occurs before the first enemy soldier is killed. And in itself it violates the right of hundreds or thousands or millions of persons to be treated as persons. other long-range effects. One of these is post-traumatic stress disorder (PTSD), which affects both civilians who live in a war zone and returning soldiers. war, for a nation’s going on a war footing can stimulate that nation’s economy – at least in the short run.) Often economic reasons can be given for doing what is wrong. This effects-focused expression of the moral reason is enough to justify the renunciation of modern war – the kind of warfare the world now faces – but it is only one expression of the moral reason, and the other expressions address warfare in all its forms. The religious reason against engaging in war actions, especially in its Buddhist and Christian expressions, is sufficient to justify pacifism and the renunciation of war. This is so even though Buddhists and Christians have engaged in war. In fact in the Middle Ages the Crusades were undertaken by Christians in the name of Christianity (although many crusaders had mixed motives). Nevertheless the requirements of compassion or love mandate the renunciation of war, as do ahimsa and Christian nonviolence. In the same way the moral reason is sufficient to justify pacifism. The moral right of person to be respected as persons rules out killing or harming them as absolutely as compassion or love. The religious reason and the moral reason can go together. They are compatible and do not exclude each other, but either alone is enough to bring us rightly to turn from war. Since 1955, Chodos & Associates and its predecessor firms have successfully represented clients in legal disputes. Led by trial attorney David Manning Chodos, the firm focuses on civil litigation, as well as criminal defense and administrative law matters. Mr. Chodos has decades of experience in resolving disputes in strategic ways that advance clientsâ&#x20AC;&#x2122; interests. He is known as an authority on the law, having served as the attorney of record in many reported cases that have shaped trends and clarified legal theories. In his early years as a lawyer, David Manning Chodos was taken under the wing of legal legend Melvin Belli, the â&#x20AC;&#x153;King of Torts.â&#x20AC;? Early on, Mr. Chodos learned the importance of using tactics designed to get results. This commitment to getting results through outside-the-box steps remains his established way of assisting clients. He has successfully handled civil litigation of all types, including many contentious business l itigation cases. There is very little that Mr. Chodos has not seen and nothing too complex for him to take on. Continuing with his work at Chodos & Associates, he takes pride in taking on one-of-a-kind challenges and finding innovative solutions in order to propel his clients towards success. Individuals and businesses represented by Chodos & Associates get personal attention from attorney David Manning Chodos, who leads every case. Attorney Chodos has decades of experience serving clients in the Los Angeles area and throughout Southern California. To learn more, review the profile below: David M. Chodos Contact Chodos & Associates For A Free Initial Consultation To discuss your case with David Manning Chodos , call 866-986-7255 toll free or contact the firm online. When I got the script, I remember thinking; these are words boys get to say…. and how tough boys get to play. ailing from South Jersey, Katrina Law’s high school activities included varsity track, soccer, cheerleading, even weightlifting. She was also a member of The National Honors Society and won the title of Miss New Jersey Teen USA. After graduating with a theater degree from the Richard Stockton College of NJ, Katrina appeared on “CSI: Miami” and “Legend of the Seeker,” as well as supporting and lead roles in a number of films, including “Alpha Males Experiment,” “Lucky Numbers,” “Emmett’s Mark,” “The Learning Curve,” and “Bottomfeeders.” Katrina also landed the key role of Mira on the hit series, “Spartacus.” Fans then followed her on CW’s “Arrow” as the recurring DC comic book character, Nyssa Al Ghul. More recently Katrina landed the role of Rebecca Lee in the crime-drama series “Training Day” and later as Stephanie Bailey in the horror-drama series “Sacred Lies.” In the gritty gangland drama “The Oath,” Katrina is Karen Beach, a member of the secret Ravens police gang and the only female lead in a series headed for season 2. Thank you for taking the time for this interview. In ﬁercely competitive L.A., what was the aha moment when you realized, okay, I can make a living at this? Katrina Law: I would have to say probably “Spartacus.” It was my big break. Steven S. DeKnight and Rob Tapert took a chance on me and the series went on to be an international hit. It was the first time I’d actually gained success in my acting career. From there, it just kind of kept going. On the surface, “The Oath” seems like a mean and dirty boys-only ﬁlm. What attracted you to the role of Karen? The camaraderie was palpable. You could feel it watching the first season. KL: The boys and I got along really well. We really clicked. It was one of the best casts to work with and the crew was amazing. We’d be at the hotel hanging out and have beach days and go out on the island together. “The Oath” explores many areas of the human condition—loyalty, betrayal, justice, even redemption. What do you see as the series’ core message? KL: I think the core message is that sometimes life takes you in directions that you weren’t prepared for. It’s definitely not about glorifying cop violence or brutality. “The Oath” explores how a cop who signed up to do something good, who probably had the best intentions of protecting the community, gets roped into being a criminal. How it’s a slippery slope and how easy it is to find yourself immersed in crime before you even realize it. It’s more about why people would stay in criminal activity and how they would justify it. And eventually, how they try to redeem themselves and get out of it. because there’s nothing like it. Nepal is so beautiful and heartbreaking at the same time. The support we got from the villages—from five-year-old kids to 90-year-old grandmothers—was an amazing show of pride in what they were doing. It was an experience to pump your own water and to dump water to ﬂush a toilet hole in the ground. We spent about a year raising over $120,000 and built three schools. Part of that money went to send ten inner-city kids from New York City to break ground for a school in Haiti. It helps inner-city kids see the world, understand volunteerism, and help kids down there. nying African-Americans the right to vote, travel, buy land, possess a gun, get an education, and so forth. The punishment for even the slightest of infractions ranged from whipping to lynching in order to strictly maintain the region’s color-coded caste system. “Racial violence was an important component of the development of anti-black attitudes, Excerpted from the dust even among poor whites.” Furtherjacket more, “White children were often William Faulkner is the only present... and, in some striking cases, Nobel prize-winner born in they were also active participants.” Mississippi, which is where most of his stories are set. So, is it any surprise that, “As of the One of this preeminent 2016 election, all of the former states Southern writer’s most mem- of the Confederacy had implementorable lines is, “The past is ed some voter identification law” in never dead. It’s not even past.” an effort to deny as many black citThat quote comes to mind izens as possible access to the balwhile reading “Deep Roots: lot box? Advocates of Confederate How Slavery Still Shapes South- monuments and memorials continern Politics.” That’s because, after ue to claim the Civil War was waged conducting painstaking research, over states’ rights, conveniently igauthors Avidit Acharya, Matthew noring the assertion of the designBlackwell and Maya Sen arrived er of the rebel battle flag that, “As a at a conclusion (“History shapes people, we are fighting to maintain contemporary political culture.”) the heaven-ordained supremacy of which sounds like a paraphrase of the white man over the inferior or colored race.” Faulkner’s famous saying. energies that were manifesting symptoms in her patients. that fall of 1976, where my career took on a new meaning because I was exposed to painting and drawing. Unfortunately, the drawing instructor there, she and I did not see eye to eye. I wanted to draw abstractly, but she wanted me to draw like a picture. So this mishap ended my career as a drawer. number one supporter in my art world, as well as my parents, unfortunately, I stopped my art career in stone sculpturing. Consequently, I took a 20 years break from the art world, never letting any of my co-workers/current friends to have any indignation of my past worth in the art world. not go outside again unless it was to go to a doctor’s appointment. My doctor at that time was Dr. Gorniswky and when I started my overall outcome position. He faced me and stared dead into my eyes and said, ‘HOW DARE you give up on life’, then shouted at me and said with a firm voice, ‘then you should go back to school for physical therapy and interact with others.’ I was not quite sure how to handle my doctor’s disappointment, but I did consider Dr. Gorniswky’s‘recommendation to attend school, I remember my study in college was the arts. So, I got down on my knees at home and said to God if this is what you want me to endure, then the art world I will give my all, as long as I am able to inspire others not to give up on their dreams and yes, life is strange how things work out, but with strength and determination any career is possible. In resuming my art career in 2007 which was two years ago, I am proud to say, I have accomplished something in my wildest dreams, which can never be taken away from me in this life, that my stone sculpture which I created in April 2009 is now in the White House sitting on a desk inside the Oval Office called (UNITY) and I had a great time at the Pre-Oscar Show (2018) What a blessing and a dream come true!!! We’re always bombarded by how great it is to pursue your passion, etc. – but we’ve spoken with enough people to know that it’s not always easy. Overall, would you say things have been easy for you? Unfortunately, my art journey has not been a smooth road. I did not realize that some museum and galleries will take advantage of an upcoming artist. One museum broke 2 of my sculptures and they are unwilling to pay the cost of the damages. Another museum tried to steal my artwork. An art promoter stole my entrance fee and the entrance fee for approximately 500 other vendors to exhibit Also as you may know some museum and galleries overcharge to exhibit artwork. These incidents and obstacle, as well as others, have presented real struggles for me. So, as you know, we’re impressed with Sculptures by Stella – tell our readers more, for example, what you’re most proud of as a company and what sets you apart from others. I am the founder/artist of Sculptures by Stella. I create one of a kind stone sculptures and every stone sculptures are created completely by hands. Every stone sculpture created has some type of a circular movement with beautiful and bold colors which makes a perfect conversation piece for any office or home. This is what sets my stone sculptures apart from others. the Grey Goose sponsored Shaquille O’Neal celebrity packed Super Bowl after parties. “My name is Franscesca. I am a master of perfection. I am not quite human, but most humans cannot tell the difference and they either hate me dearly (those are called ladies) or worship me (those, of course, are men).” The race is on. All bets are off. What does the nuanced narrative mean? Ask those who try to interpret Allois’ works as they seek to untangle and interpret the magical, mythical message. Allois’ subjects enthusiastically embrace the ethereal. They entice, enthrall and excite. They both consciously and subliminally evoke emotions. Many of Allois’ works are sold to loyal clientele who faithfully await and anticipate as she prolifically paints. Collector Christopher Choo shared with Hollywood Weekly why he and his wife stretch beyond their usual artistic aesthetics to collect Allois’ works. They simply cannot wait to see her newest creations. dream element with the spiritual and I want to all own all her works because they really speak to us.” BG Art Gallerist, William Cross, chatted with Hollywood Weekly about Allois’ artistic force. “When someone like Allois can come from the subconscious, digs deep from her youth and creates chaotic beauty that is still true to her soul,” He said, “That’s what I look for in an artist.” Hollywood actress Alexis Kiley was extremely impressed with Allois’ exhibit. “The remarkable and gifted artist – Allois!” Kiley said. “During the LA ART SHOW 2019 befitting St. Judes Hospital - I walked and viewed beautiful art with my beautiful friend Pretam and there was not one modern painter that held my breath like the paintings of ALLOIS. How I await new paintings from Helen that are still held within her imagination awaiting their time for their grand arrival on canvas. If there are paintings in Heaven - surely these pieces will be there.” Many in attendance at the exhibit noted that sadly, Allois, who is an artist from Malibu, lost her home, her studio, and all of her paintings except those exhibited at the LA Art Show in the Woolsey Fire. “In addition to her incredible talent, Allois now symbolizes to me what it means to be resilient,” Steve Soboroff said. “She is committed to her works and celebrates a new start rising from the destruction.” The Woolsey fire has not only lit a fire deep within Allois’ soulful, creative energies and synergies, like a mythical Phoenix emerging from the ﬂame-driven fury, it has spurred a surge in her sensational surrealist creativity. All of her loyal fans wait with anticipation as they wonder what she will paint next and what tales her fanciful spirits will spin. was. A great storyteller. He took us into tales of love and heartbreak that we all connected with. James Ingram could give confidence to a lovesick, junior high school student. He could make a husband married 30 years look at his wife as if he was seeing her for the first time. That was the magic of James Ingram. We believed him and the beautiful lyrics he chose to share with us, many of which he wrote himself. When thinking about the sincerity and integrity James Ingram brought as an artist, it brings to mind another famous “James” who captured the trust and heart of America. James Maitland Stewart. You may know him better as “Jimmy Stewart.” One of the most loved Stars in Hollywood, Jimmy Stewart always put his art first. He inhabited the characters he played with sincerity and believability. And we believed him. that word lightly. But the truly lasting legacy of James Ingram is the ripple effect the beauty of his voice will have on us for the rest of our lives. His tone. The vibrations of his sound. That feeling of love and happiness. That’s what will live on. That is the ripple effect of James Ingram. And what a beautiful ocean of sound he gave us.